In November of 2018 the Canadian singer songwriter Andy Shauf and his childhood friends Dallas Bryson (guitar/vocals) and brothers Darryl Kissick (bass) and Avery Kissick (drums & percussion) released Foxwarren, their self-titled debut album that was a decade in the making. Today they are thrilled to announce their first-ever tour beginning in their hometown of Regina on May 29. Full tour dates throughout the US and Canada will follow and all performances are listed below. To mark the occasion they have also released their new video for the album track “Sunset Canyon”. Directed by Laura-Lynn Petrick and featuring actor and talk show host Busy Philipps. Subtle and thoughtful, Foxwarren draws parallels to Andy Shauf’s solo work while leaning on collaboration and looseness rather than Shauf’s meticulous arrangements. Where Shauf leaves space for orchestration, Foxwarren take time to ruminate on passages and themes. Propped up by warm driving rhythms and a familiar voice, and coloured with soft electronics and coarse guitars, this record ultimately hinges on sincerity. It captures the feeling of friends pushing each other, of a band looking inward for inspiration instead of outward for influence. “excellent musicianship from start to finish, warmed by a mixture of '70s tones and modern flourishes” Exclaim! 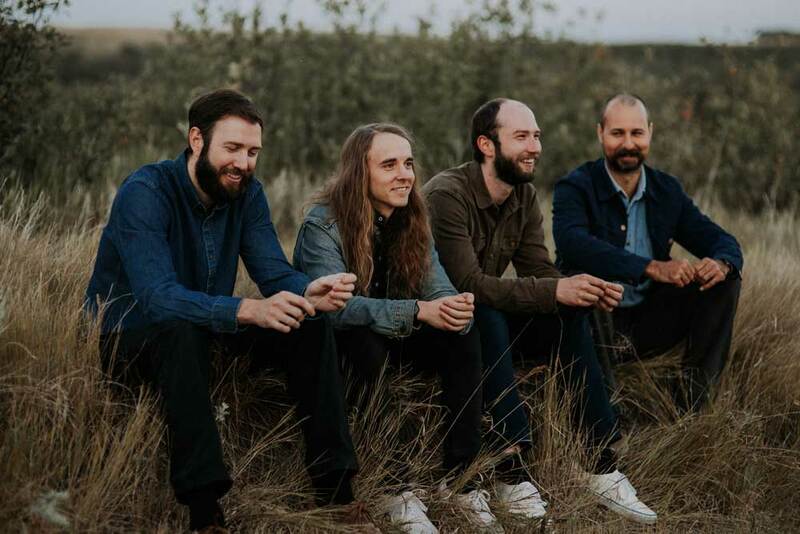 Growing up in scattered small towns across the Canadian prairies, the band Foxwarren initially bonded over Pedro the Lion and drew influence from The Band and Paul Simon. Comprised of Andy Shauf (guitars/keys/vocals) and his childhood friends Dallas Bryson (guitar/vocals) and brothers Darryl Kissick (bass) and Avery Kissick (drums & percussion), Foxwarren’s self-titled album is out now via Arts & Crafts. Captured on 16 mm film, the new music video for the song “To Be” features zoom shots done in the style of Wes Anderson that focus in on characters who appear alone in expansive spaces. A few weeks ago Foxwarren gathered at Andy Shauf’s favourite Toronto haunt, the Skyline Restaurant, for a rare live performance. The set was captured for CBC First Play Live. Andy Shauf is currently on a fall solo tour and has just announced February 2019 North American tour dates that include stops in Kingston, Montreal, Ottawa and Quebec City. All upcoming dates are listed below. Shauf is currently on a fall solo tour and will perform in Toronto this week. All upcoming dates are listed below.